Your farmer loves you! Armloads of purple yardlong (Bodhi) beans! And the beautiful, sweet, juicy ripe tomato season isn’t over yet!! 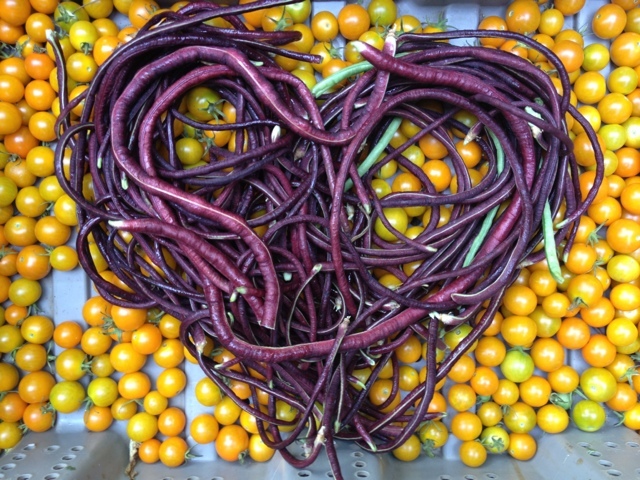 Saturday morning ARTfarm stand starts at 10am: Sweet mix, spicy mix, arugula, microgreens, tomatoes (cherries and slicers), pumpkin, Bodhi beans, sweet peppers, hot peppers, beets, cooking greens, garlic chives, lemongrass, the four basil flavors, flowers, vegan ice cream, local honey, pineapple, bananas!